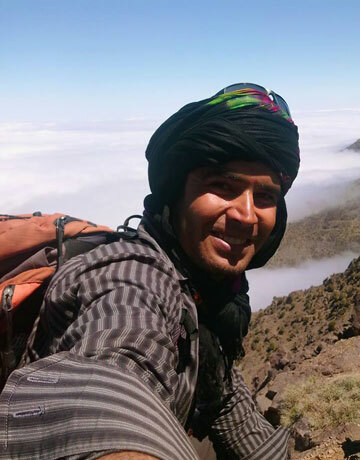 The Amazing Toubkal Trek team is led by Hassan Fadil who is an experienced mountain desert tour guide. We have been born and raised in the high Atlas Mountain of Morocco. We qualified from CFAMM in central high Atlas Mountain in Morocco. Our guides speak the native Berber language, and can also converse well in English, French, and Arabic. We have worked for over 10 years in the Tourism industry as a mountain desert tour guide with several European and USA Tour Operators & Travel Agencies leading their groups around Morocco. We also have a great depth of knowledge about the Abundant Flora & Fauna in the areas that you will trek through. With the finest knowledge about all tours & treks around Morocco, we are now sharing our experience & knowledge of our country to anyone who wants to know what Morocco has to offer. Hassan can help you organize your trekking in Morocco Atlas mountains, Sahara desert tours and nearly everywhere and anywhere in Morocco. Why choose Mountain Desert Tour Guide? We have a trekking tour with a difference, we’ve got the experience, the passion, and skills, below are other reasons why you need to choose us. – We have graduates from mountain guide school in Tabant (CFAMM) to handle your tour. – We’re trusted and honest people. – Languages spoken : The native Berber language, and can also converse well in English, French, and Arabic. – More than 10 years of experience in the field of Tourism. – Expert in Flora and Fauna around Morocco. – Personalized and book trips directly with locals. – We do our best for travelers with Let’s high Atlas and desert get a cheaper, faster and better way to travel. – Expert in responsible tourism. – Ecologically aware and will not do anything to damage the beautiful environment. – Honest and friendly muleteers. – Tailor made itinerary specific requirements. Fill free to contact us with any questions or concerns you may have about your trip.